In the monthly reports of the Nevesbu (1) is a lot of information available dealing with how the Dutch shipyards (re)acted dealing with the new building of warships abroad. Venezuela was in the second half of the 1950s interested in founding her own submarine fleet. In the Netherlands were on that moment submarines of an interesting concept under construction. The so-called 3 cylinder submarines. (2) Sadly enough not all reports were preserved, so it’s not possible to get a complete view but just some however interesting glimpses. Early 1955 were details supplied about the Dutch 3-cylinder submarine program. Venezuela wanted to have her own submarines, for instance of training her destroyers in submarine warfare. Iccar in the meantime reported that she contacted a certain Capitán de Fragata Eduardo Morales Luenga who seemed to be really interested in the 3 cylinder concept. As requested was now a coloured general plan of a 900 tons submarine being drawn. The documents for the next years are not available but the Nevesbu sent her advisor Burghard (3) to South America to explore further the markets for building warships and/or merchant ships. Between 20 January and 8 February 1958 he visited Venezuela on a moment that there were internal problems in the country including her president Marcos Pérez Jiménez (4) on 23rd replaced by contra almirante Wolfgang Larazabal.(5). The result was that the Venezuelan navy department was also reorganized and men known to Burghard were gone. He managed to speak the new chief of staff captain Luis Groce (Luis Humberto Croce Orozoo?) on Monday 3 February briefly. Groce stated that it was not the right time to negotiate. Probably not earlier as 30-50 days. He did promise to do his utmost best not to buy a cruiser while the Venezuelan navy could not afford such a large ship. Dealing with the submarines he made clear no longer to be interested in the 3-cylinder project but just in a common 1-cylinder submarine from around 900 tons although not giving any further specifications. He pretended not to know the specifications of the American offered submarine. Submerged speed was more important surfaced speed and a maximum diving depth. Burghard believed that if the offered price was far enough below that of the American boat Groce would recommended a Dutch submarine. When Burghard went to Venezuela in May he had a code with him to correspond with the home front secretly. So was the code for a 3-cylinder submarine Rotterdam and for a 1-cylinder submarine Groningen. To specify for instance a Washington standard displacement of 850 tons he had to telegraphed kees (=8) piet (=5) clara (=0) and maas (=tons Washington standard displacement). The same year was the Dutch Export Financiering Maatschappij asked if it was possible to assist in financing the building of submarines for Venezuela. On 3 November wrote this organisation that this was not possible for the next years. If the Nevesbu succeeded in obtaining a financing from the banks during the construction, than would a request for supplementary financing after 1 January 1963 considered. Burghard went several times to Venezuela in those years, for instance several days in January 1959. During this visit he met the Venezuelan civilian Nelson Vasquez who just returned from a study journey to the USA dealing with building submarines and training crews . Vasquez was responsible for the Venezuelan submarine program. He told Burghard that at the moment 3 submarine crews of the Venezuelan navy were being trained, 2 in Peru and in the USA. In next August came trained submarine crewmembers available and they wished to have a submarine of the French l’Astrée type. (6) Such a submarine was to be launched on short notice and Venezuela was interested in obtaining her or one already in service but relatively still new. Sometime earlier seemed a French admiral named Craft to have visited Venezuela and the possibilities were then discussed. Burghard did not know what the results of this visit but what he did knew was a planned visit in February-March of Vasquez with some officers to Europe. Main purpose of their visit was to buy brand new second hand submarine(s) of a similar type. Every country able to deliver the wanted second hand submarine got an order of the new building of 2 submarines. Vasquez informed Burghard that the American shipyards were too expensive and that European yards were preferred. A visit to Dutch shipyards including the 3-cylinder submarines under construction was desirable. During a second meeting however said Vasquez that he intended to visit the USA before Europe while the Americans suddenly lowered their price considerable. The Nevesbu report dated 1 February 1959 mentioned that Burghard advices the Nevesbu to invite the Venezuelan officers who intended to come to Europe on short notice to visit their shipyards and if possible the submarines under construction. Venezuela was really interested in purchasing three submarines and the shipyard with the best tender could obtain the order. Furthermore wanted Venezuela to get as soon as possible a second hand boat. The Royal Netherlands Navy was already asked for permission for a visit of the Venezuelan officers. A month later reported the Economische Voorlichtingsdienst [Economic Public Relations Service] that the Dutch ambassador at Caracas, Venezuela wrote that Venezuela again decided to purchase submarines on short notice. 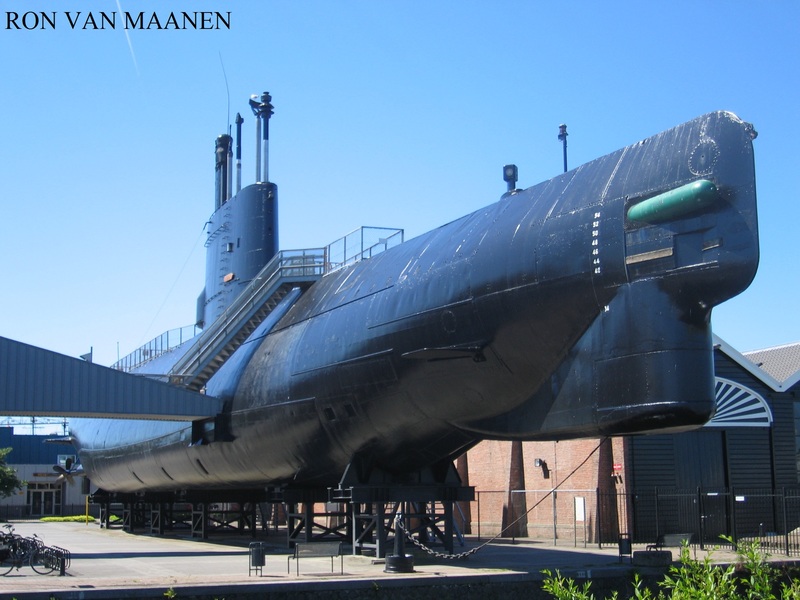 Burghard was on 18th February informed that the Royal Netherlands Navy had no objections for making the O 24 (6) available if there came another solution for charging the batteries of the other submarines. The same day was the Dutch shipyard Wilton-Fijenoord asked if she was interested in planning a fast reconversion of the O 24. The report dated 1 April made clear that fitting out again of the O 24 was quite problematic while a lot of equipment already was removed and sold. The Royal Netherlands Navy was asked if the O 27 (7) which was to be stricken on short notice a possible alternative was. She was still completely operational and suitable to be handed over after a major refit including some modernisation. The Dutch Chief Naval Staff in the meantime gave permission for a Venezuelan visit to the submarines under construction with as restriction that no equipment was shown of classified information was supplied. The reports of May and June are missing but on 1 July was reported that Venezuela bought in June from the USA a second-hand submarine (8) which was however not complete modernized. The purchase of 2 new submarines was delayed and no earlier as August was more news expected. A Dutch expert in naval affairs wrote in October 1959 that indeed a second hand submarine was bought in the USA. The orders for new orders were still to be given but the new chief of the naval staff Sosias Rios (family in law of the Larrazábals) wanted onto to discuss on a high official level. The French navy in the meantime invited Venezuela to send some officers. Now was the new boat of the improved Daphne type offered and Vasquez was negotiating with the shipyard. The American notorious submarine building company Electric Boat Company (General Dynamics) also sent a tender. Ambassadors and naval liaison officers of the USA and France played an import role in the negotiations. His advice was that if Nevesbu was still interested the Royal Netherlands Navy and the embassy at Caracas were to be informed and to participate, submarine crews could be trained in the Netherlands (paid for by Venezuela), financing was possible, Venezuelan officers to be invited to come to the Netherlands and sent Burghard officially as vice admiral. All efforts were fruitless, Dutch shipyards never get an order for building Venezuelan submarines. 1. Nevesbu=N.V. Nederlandsche Scheepsbouw Bureaux at The Hague, an organisation in which the major Dutch shipyard participated: Rotterdamsche Droogdok Maatschappij (RDM) at Rotterdam, Kon.Mij. De Schelde (K.M.S.) 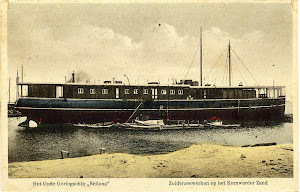 at Vlissingen, Nederlandsche Dok en Scheepsbouw Maatschappij (N.D.S.M.) at Amsterdam, Wilton-Fijenoord at Schiedam and Werkspoor N.V. at Amsterdam, Netherlands. 2. The Dolfijn-class of 2 submarines and in the 1960s the Potvis-class. The Tonijn of the Dolfijn-class still exists as a museum ship. 3. Francois Theodor Burghard (Surabaya, Indonesia 15 April 1900-San Pedro, Marbella, Spain 28 June 1978), out of service in the rank as vice admiral on 1 November 1956. Between 1952-1956 commandant der zeemacht in Nederland (commanding officer of the navy in the Netherlands). 4. Marcos Evangelista Pérez Jiménez (25 April 1914 Táchira, Venezuela-20 September 2001 Alcobendas, Spain) provisional president between 2 December 1952-19 April 1953 and president between 19 April 1953-23 January 1958. Served in the army with the rank of divisional general. 5. Wolfgang Enrique Larrazábal Uqueto (5 March 1911 Carúpano, Sucre state, Venezeuela-27 February 2003 (Caracas, Venezuela), president between 23 January 1958-14 November 1958. Equivalent of his rank in English is rear-admiral. 6. Laid down by RDM, Rotterdam, Netherlands on 12 November 1937, launched on 18 March 1940, commissioned on 13 May 1940, completed by John Thornycroft, United Kingdom in June-July 1940, decommissioned in 22 February 1954, stricken on 30 November 1962 and broken up at Vlissingen, Netherlands in September 1963. Of the O-21 class. 7. Laid down by RDM, Rotterdam, Netherlands on 3 August 1939, launched on 26 September 1941, Taken over by Germany as the U-D5on 1 November 1941, commissioned in the Royal Netherlands Navy on 13 July 1945 and sold to be broken up on 23 December 1960. Of the O-21 class which has as general characteristics a displacement of 990 (surfaced)-1.205 (submerged) tons and as dimensions 77,7 x 6,8 x 3,95 metres or 254.11 x 22.4 x 13.0 feet. Speed 19,5 (surfaced)-9 9submerged) knots. An armament of 8-53,3cm/21” torpedo tubes (4 born, 2 stern, 2 traversing amidships). 8. The Balao-class USS Tilefish (SS307) renamed Carite? Acquired in the USA in 1960 and which was between 3-4 months overhauled. Handed over at San Francisco, USA on 4 May 1960. Laid down by the Mare Island Naval Shipyard on 10 March 1943, launched on 25 October 1943 and commissioned on 28 December 1943 in the US Navy. Finally decommissioned on 28 January 1977. Displacement 1.526 (surfaced)-2.424 (submerged) tons and as dimensions 95,50 x 8,33 x 5,13 or 311.10 x 27.4 x 16.10 feet. Speed 20,25 (surfaced)-8,75 (submerged) knots. Original armament 10-53,3cm/21” torpedo tubes (6 bow, 4 stern), 1-12m7cm/5” cal 25 deck guns and 4cm Bofors and 2cm Oerlikon cannon. Archief Kon. Mij. De Schelde 1875-1970 (T214) inventory numbers 1681, 1686, 1703 en 1705.